Easter is coming in a few short days…which means you’re going to need some sweet treats to share with those you love! Easter is also prime PEEPS® season…something about those sweet sugar-coated marshmallow chicks, bunnies, and other fun Easter shapes makes it feel like Easter. 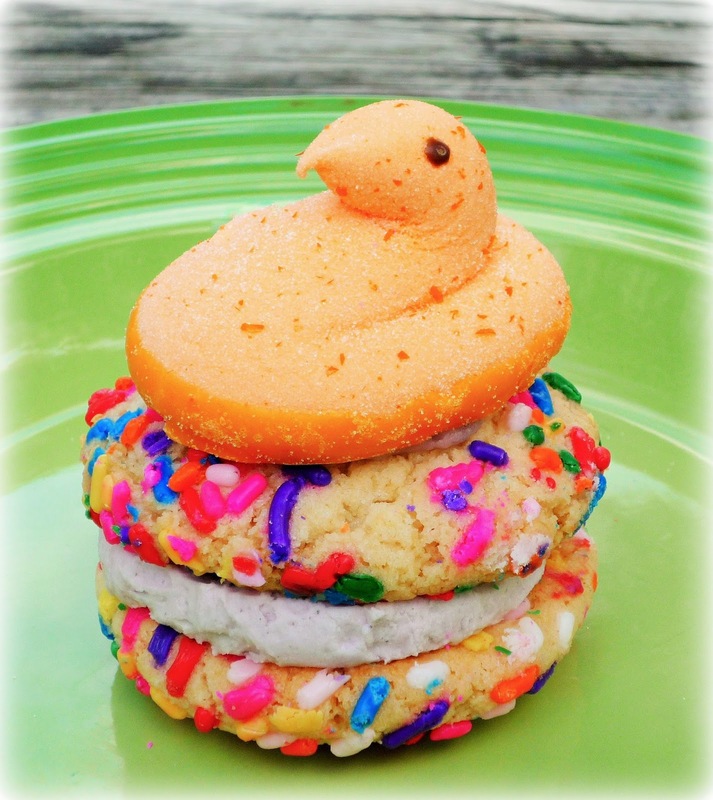 My friends at PEEPS® recently sent me an assortment of their Easter treats to create a fun recipe to share with you today. 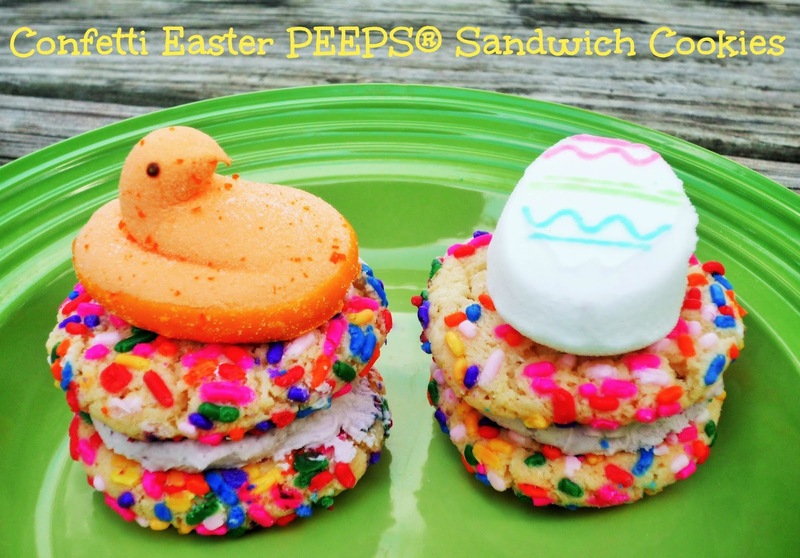 Easter prep can be hectic, so my Confetti Easter PEEPS® Sandwich Cookies feature a convenient boxed sugar cookie mix. They’re rolled in fun, colorful sprinkles and filled with a sweetly tart grape buttercream filling and decorated with fun PEEPS® Easter marshmallows -- including Orange Delight chicks. 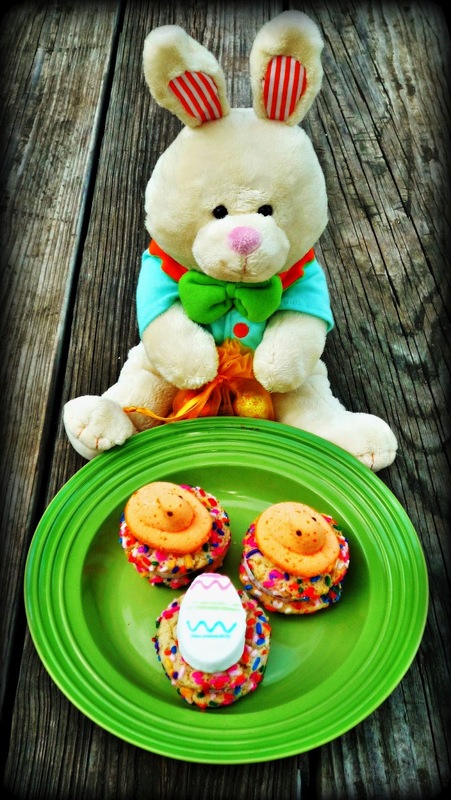 Your little bunnies can even help you roll the cookie dough and coat them in the sprinkles. These festive cookies are cute to look at, yummy to eat…and super easy to whip up in an afternoon. So…gather your favorite sprinkles and let’s get baking! Step 1: Preheat oven to 350, and line a rimmed baking sheet with parchment paper. Add the sugar cookie mix, egg, butter, and almond extract in a large mixing bowl. Combine until a dough forms. Form into a 14 evenly-sized balls using a cookie scoop, then roll in the sprinkles. Place the cookies evenly on the prepared baking sheet. I found it easier to bake the cookies in two batches. Step 2: Bake the cookies for 10-12 minutes, until lightly browned. Rotate the pan halfway through baking to ensure even doneness. Let cookies cool on the pan for 2 minutes before being transferring to a cooling rack. Cool completely. Step 3: Make the grape buttercream filling by combining the butter, powdered sugar, powdered drink mix, and milk in a mixing bowl. Mix on low speed until combined, then whip the icing on high 2-3 minutes, until fluffy. To assemble the sandwich cookies, scoop 1 tbs. of the buttercream onto the underside of half the cookies. Top with a second cookie. 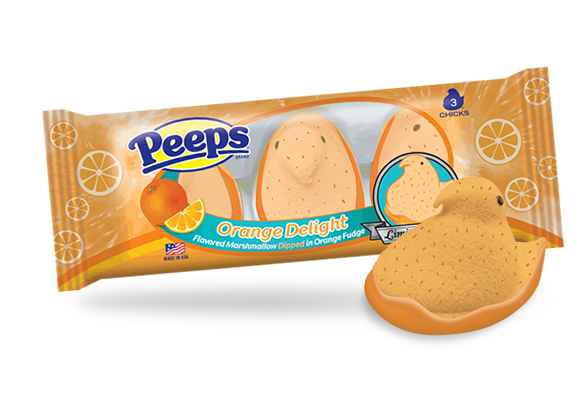 Pipe a button of the icing on the top center of each cookie, then adhere one of the PEEPS® Easter marshmallows to the icing. These colorful cookies are as pretty as an Easter egg thanks to a generous amount of sprinkles outside...and a festive PEEPS®marshmallow on top. The homemade buttercream icing between the cookies is pale lavender, with a sweet-tart grape flavor. Add it up, and you've got an Easter treat that anybody would love to find in their basket this Sunday morning! Disclosure: PEEPS®sent me a package of their seasonal Easter marshmallow treats to facilitate this post. All opinions expressed are solely my own.